St. Stephen must be proud - GoUNESCO - Make Heritage Fun! 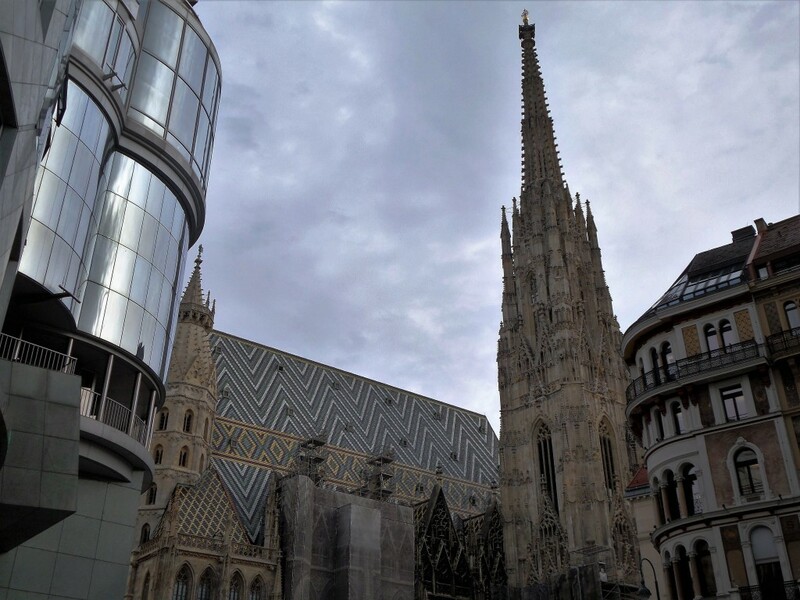 It turned out that the oldest and the biggest buildings (for the longest time) in the capital of Austria are the same church, or to be more accurate, breathtaking, monumental masterpiece of a gothic architecture officially called St. Stephen´s Cathedral. It is almost impossible to capture the whole Cathedral. 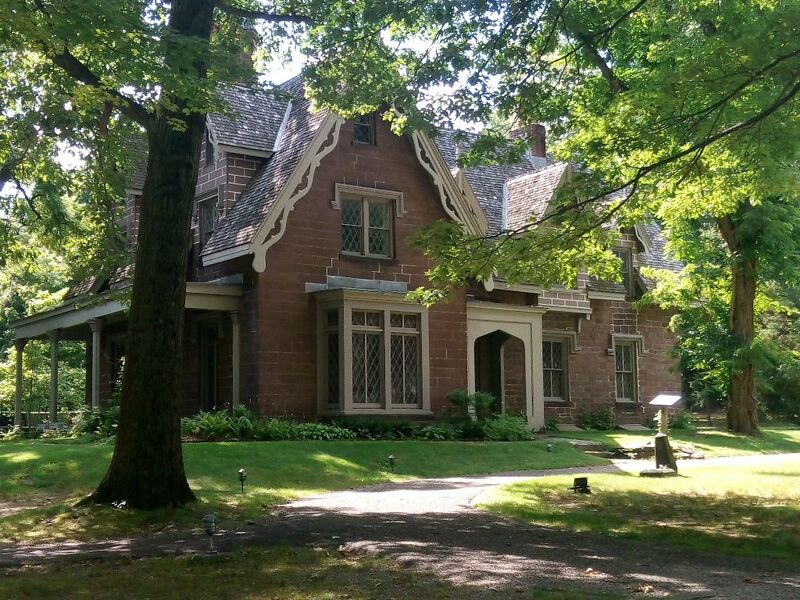 Here we can take a look at the front from the tourists’ perspective. Situated just in middle of the city, this medieval building is far too big to be easily captured by the camera´s eye. Luckily enough, there are two mini and widely available versions of the church. 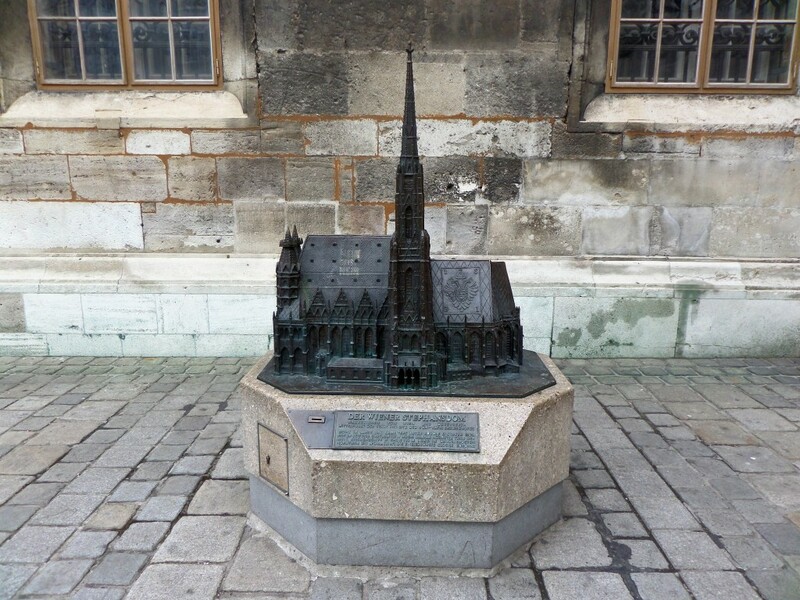 One, in a form of a model, stands just next to the cathedral, while the second can be found on an Austrian 10 cents coin. 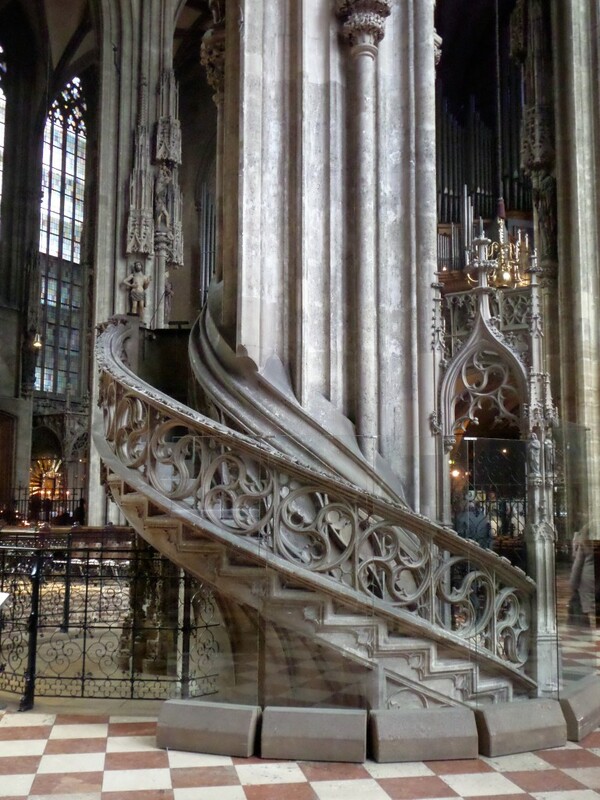 Luckily, there is a tiny model to give us an idea of the Cathedral’s real proportions. 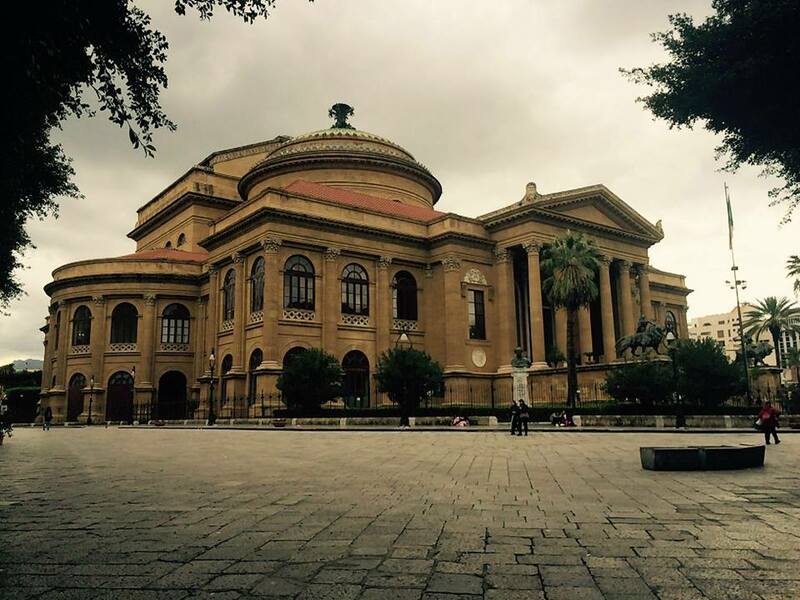 This enormous Roman Catholic church still actively participates in a religious and cultural life of citizens. The Cathedral´s roof reaches 107,2 m but it still has to look up to the impressive southern tower which cautiously observes the country from the height of 136,44m. The tower is informally called Steffl and a challenging way to the top of it, leads through 343 steps. 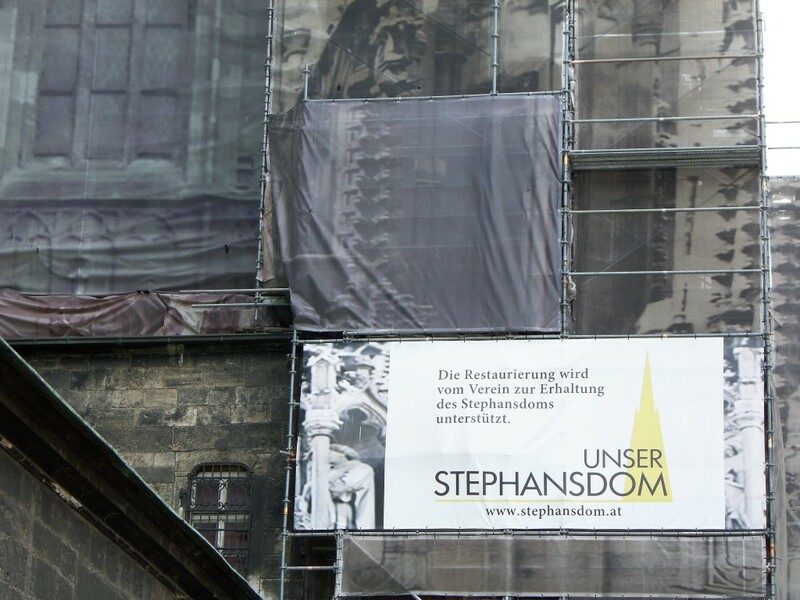 A curiosity proving how deeply Stephen’s Cathedral is rooted in Austria’s culture, is that the same name belongs to one of the traditional beers. There are 13 bells in the church, while the sound of the biggest one Pummerin announces the most important events in a life of the local parish and the whole Austrian society. 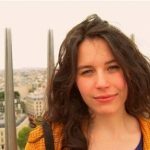 Although today, such events are widely broadcasted, their importance is emphasized especially by the fact that they wake the second biggest bell in Europe up. 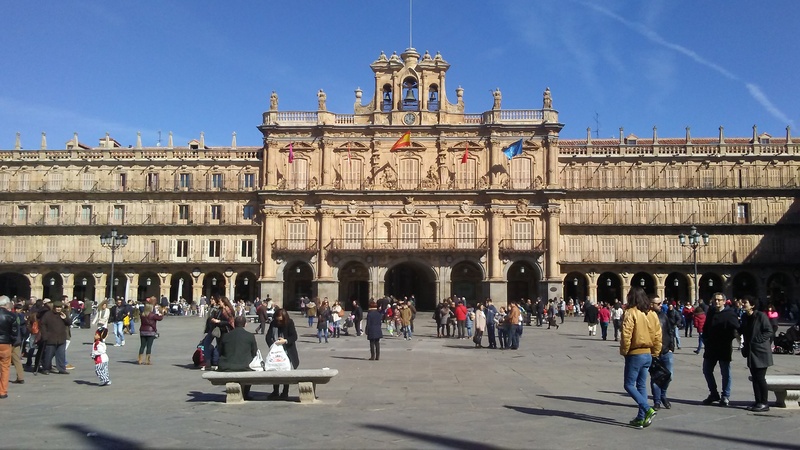 Indeed, the numbers speak for themselves, but the impression of a magnitude is multiplied by the really close neighborhood of the surrounding buildings, which create an interesting mixture of the oldest and the most innovative architecture. 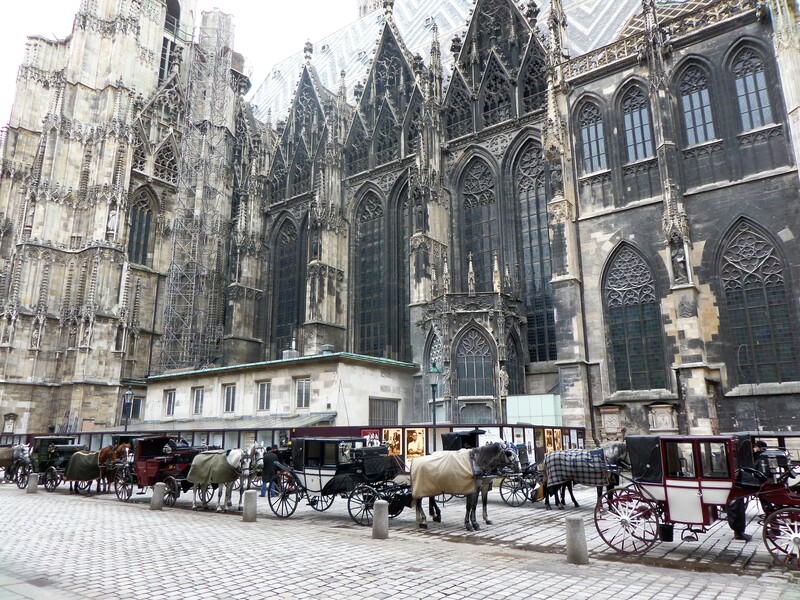 The Cathedral and its surroundings are the unquestionable number one on a ‘must see’ list of every tourist in Vienna. 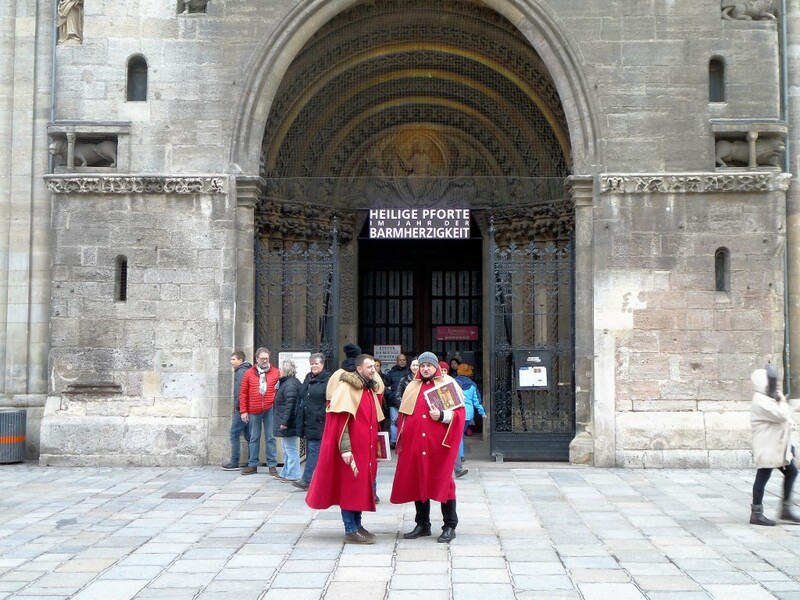 Apparently, the main and most popular entrance to the Cathedral, the Giant´s Door surrounded by the two Roman Towers, belongs to the construction´s oldest elements and are dated back to 1137. The present Cathedral is the third sacral building located in the same place. 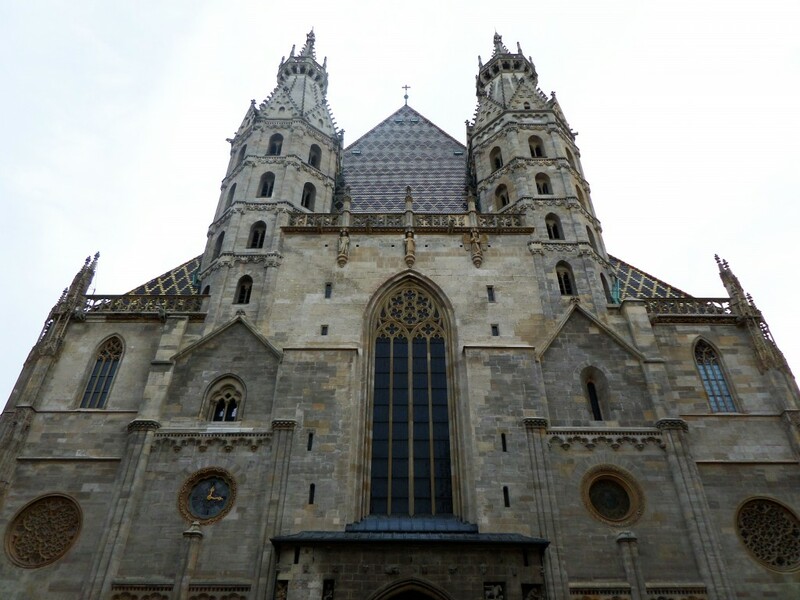 The earliest one was also the first consecrated parish of Vienna. The residues of both previous churches can be still found in a form of relics hidden in the underground tombs or the elements of the western facade as far as the second church is concerned. Later, the original Romanesque church went through a great number of transformations to finally reach the nowadays admired Gothic form. 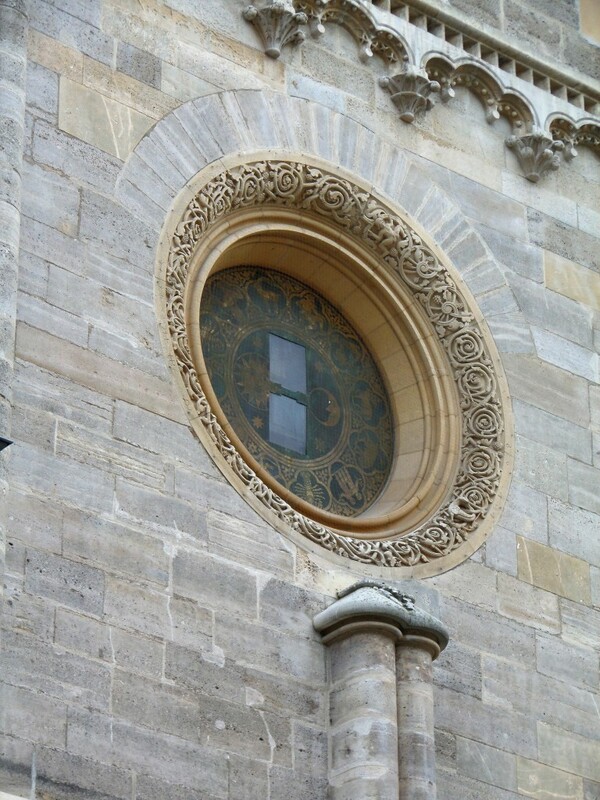 The Cathedral´s limestone facade, its exterior and interior details should be seen in person. 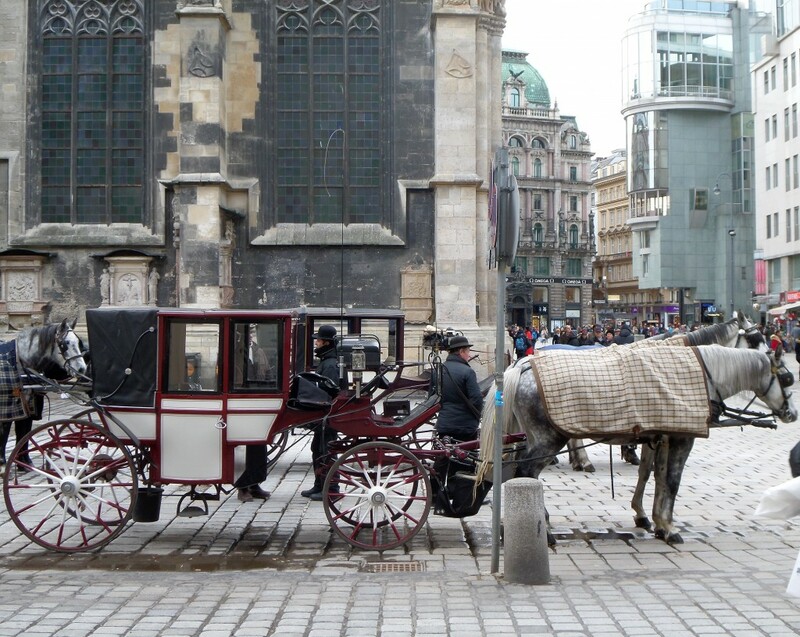 In fact, it is the unquestionable number one on a ‘must see’ list of every tourist in Vienna. The tower is an excellent navigation and meeting place, and, for those who managed to climb the stairs, also a wonderful viewpoint to take a look at the whole city. The numerous elements of the church´s architecture make it a unique tourist attraction. The building is a protagonist of a number of novels, pieces of art and a great deal of scientific works devoted to its history and peculiarities. Although focusing on every tiny detail of its architecture would cover pages of a fat book, I would like to mention only few little facts, that became especially close to my heart. The limestone exterior of the Cathedral is a masterpiece of a truly detailed art. Not to mention an impressive interior, where every corner or a column has its separate story. 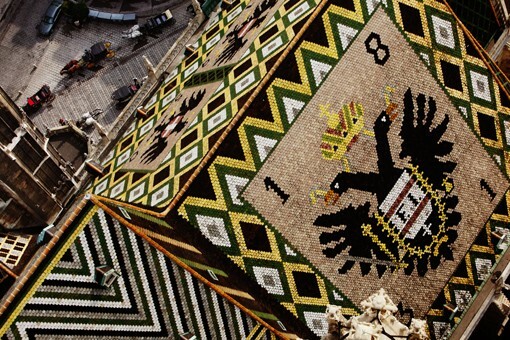 a mosaic of a double-headed eagle, which recalls the times when Vienna was the center of the empire ruled by the Habsburg dynasty. 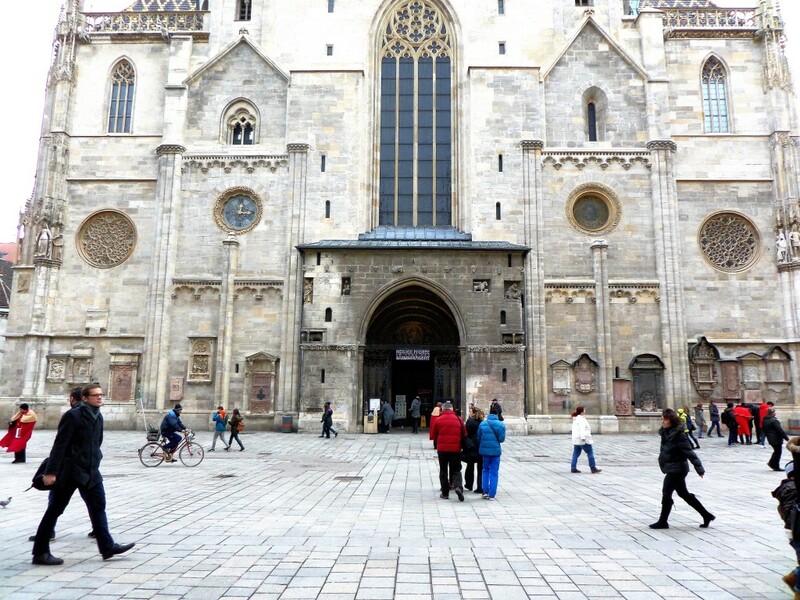 Incidentally, it was the Habsburg dynasty which initiated and oversaw the present shape of the Cathedral. Other ornaments present the coats of arms of the City of Vienna and of the Republic of Austria. It would be a great negligence not to mention how the Cathedral influenced the musical life of a city famous for its composers. 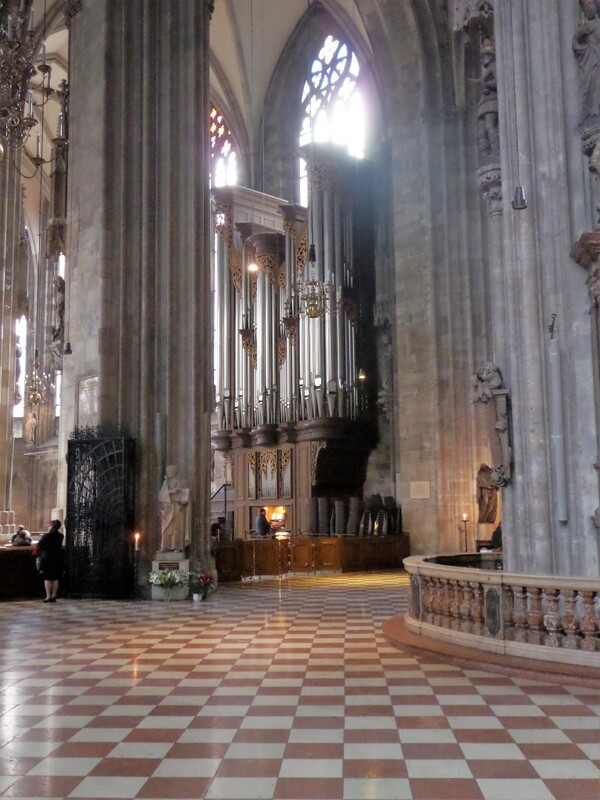 The first cathedral’s organ appeared already in 1334. The latest instrument was rebuilt in 1991 and serves as a crucial artistic element of every celebration. An interesting, but also unfortunate anecdote is related to Ludwig van Beethoven. As the legend says, only the birds flying out of the tolling bell in St. Stephen’s church made him realize his complete deafness. He saw the bells’ movement, but sadly, could not hear the source of it. 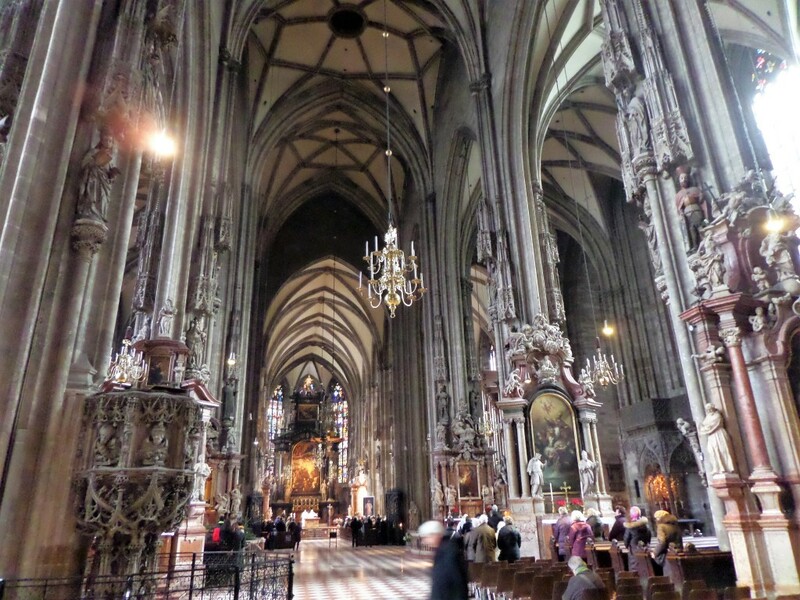 For another great composer, Wolfgang Amadeus Mozart, the Cathedral became a venue for his wedding and funeral. The main choir is situated just above the entrance. 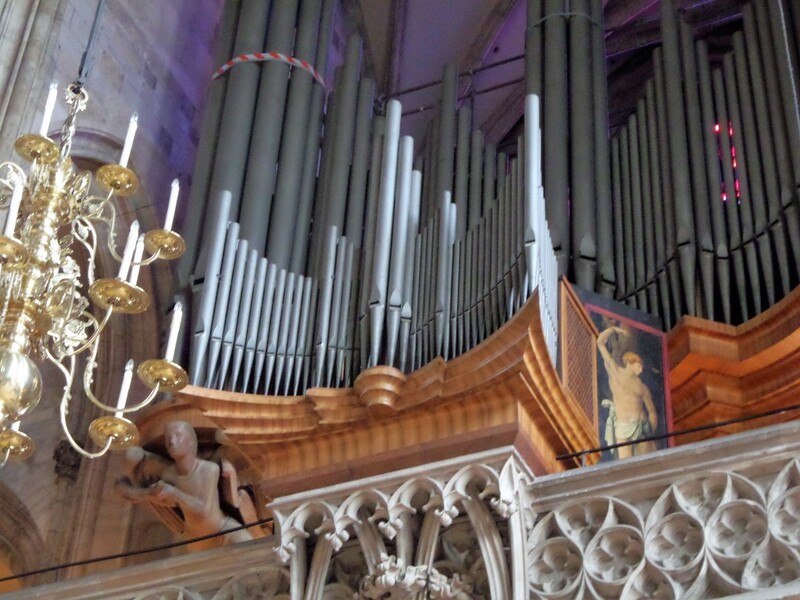 The latest organs were rebuilt in 1991 and serves as a crucial artistic element of every celebration. It is not easy to maintain and preserve an almost 900 years old giant. Luckily, already in the 13th century managers of the times predicted the future need and launched an office of ‘church treasury’. 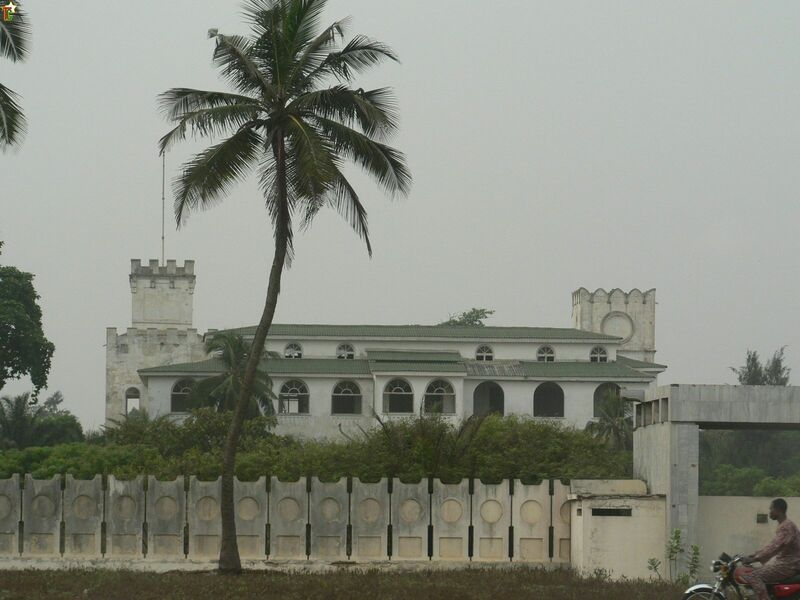 Since then the office consisted only of the richest layman in Vienna, as they were believed to be the only citizens resistant to the temptation of the parish’s wealth. They were responsible for a control over donations devoted to preserve the church as a place of worship. Today the bureaucracy is incomparably more complex and the funding of the conservation and preservation of the monument became a full-time occupation for responsible for it priests and administrative officers. Indeed, the Treasury can be compared to a dynamic company, divided into offices and departments. One of them is a 20-people workshop which everyday works on those minor, as well as, big scale conservative operations. The Cathedral is still maintained mostly from the voluntary donations, therefore, the engagement of local fund-raising associations has a priceless value. The main altar is a symbol of a cultural heritage and a special place of a religious worship.